In Tampa FL there are a lot of carpet cleaners to choose from. Each has their own unique spin on the services they provide. Whether they offer a fast drying cleaner or use green solutions or leave no residues behind you have several avenues to choose from. Chem-Dry of Tampa FL offers a unique pet friendly carpet cleaning solution that is green certified and completely safe for your pets. Even if the carpet is not completely dry it wont harm your fur babies. Not only is it green certified and safe for your family it dries quickly and leaves no dirt attracting residues behind. 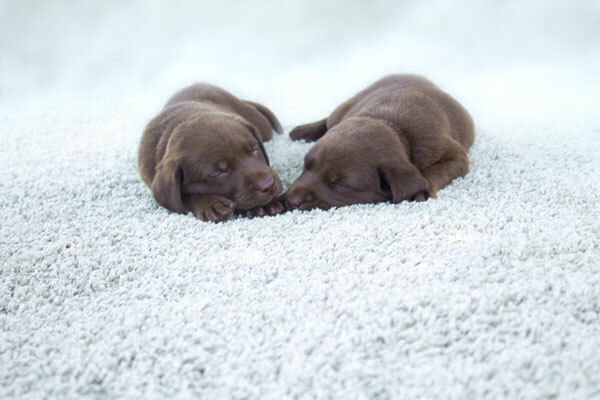 Our pet friendly carpet cleaner is called The Natural and is completely safe for your home. I have been cleaning carpets in Tampa FL for 6 years and I wouldn't use anything else to clean my customer's carpets. It's just that good. It's not only one of the safest carpet cleaners on the market its also extremely good at removing tough soils and stains. Our main cleaning agent is carbonation. That's right, we use the tiny bubbles in your soda to clean your carpet. It's a mechanical agent that lifts dirt to the surface of your carpet fibers for easy extraction. It doesn't take a lot to clean and dries quickly. It makes perfect sense. Have you ever used club soda to remove a spot on your shirt? It's the same principle but applied to your carpet. Why use any other carpet cleaner when you can use a safe pet friendly carpet cleaner? Consider Chem-Dry of Tampa FL next time you want your carpet cleaner. For pet friendly carpet cleaning in Tampa FL call Chem-Dry of Tampa.